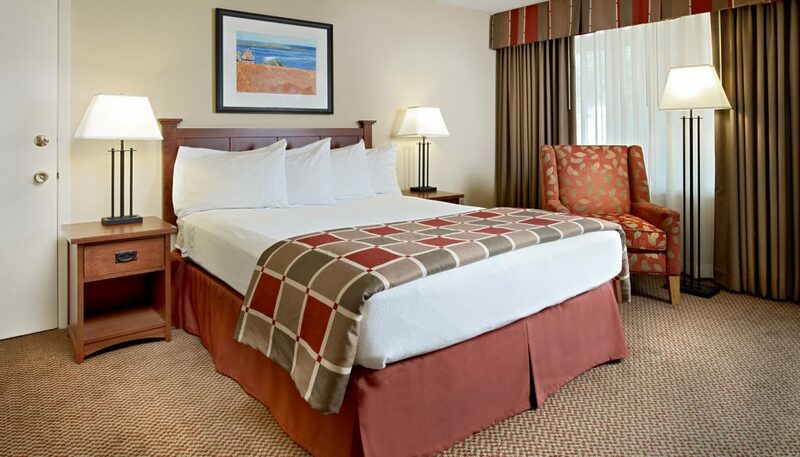 For one or two people looking for comfort and economy, this guest room features a Queen Bed plus High Speed Internet, Refrigerator, Air Conditioning, Free Local Calls, Iron/ Ironing Board, and a Coffee Maker. Some rooms offer a work desk and cribs are available for all rooms upon request and availability at time of reservation. Rooms range from approx. 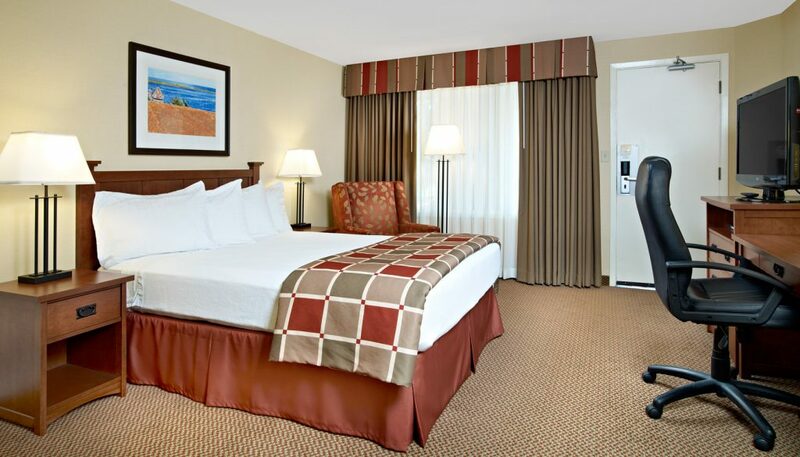 250 – 294 sq ft. and like all our rooms, include free high-speed Wi-Fi, free parking, free HD TV and a delicious free hot breakfast buffet daily.